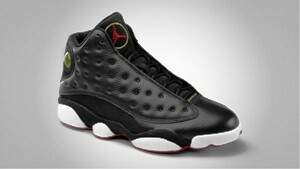 After enjoying a lot of success with five new colourways of the shoe in 2010, the Jordan Brand is set to release its first edition of the Air Jordan 13 Retro, and like the five colourways released last year, the new edition that will be released this Saturdday is expected to win the hearts of many. Coming out in Black/Varsity Red-White-Vibrant Yellow colourway, the new Air Jordan 13 Retro still features the excellent design of the famous Air Jordan 13 and its ever-reliable performance-based excellence, making it an expected instant hot item in the coming days. Can’t get enough of it? Grab one immediately this February 26 and you’ll get a taste of one of the best Jordan shoes ever made!